Most of us make lists for the New Year, even if they are only mental lists. Get in shape. Organize paperwork. Eat more vegetables. Maybe you are looking to make some bigger life changes, like looking for a new career or job, starting a family, or building a new house and putting down some roots in a great Pittsburgh area neighborhood. 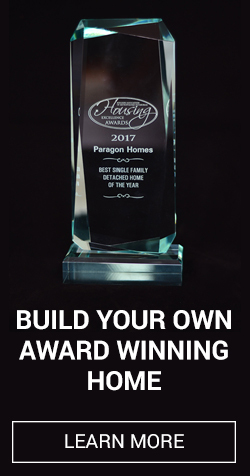 Asking a home builder to describe their approach and the unique services they provide before, during, and after the project can help you narrow down which one will be the best fit for your family. What are your typical budget overruns? It’s very common that a custom home project will go over budget, oftentimes because homeowners decide to upgrade materials or splurge on certain features of their home once work is underway. But if a prospective builder reports consistently high overruns, it could mean that they aren’t providing accurate project estimates. How and when do you update homeowners on the project? If you know that you are the type of person who will be driving to the construction site on a daily basis, make sure to talk to prospective builders about any policies or practices they have about visiting the project and about how they like to keep in touch. You don’t want to miss phone calls or emails, and you might want to reach someone quickly with questions or concerns. Can you put us in touch with past customers? A builder who is confident in his or her work won’t hesitate to give you references and direct you to past projects so you can take a look. What type of warranty do you offer, and what is covered? Ask for specific, printed information about the builder’s warranty programs, both for the overall construction and new appliances. Building a new home is a big investment of both time and money, but the rewards are great. 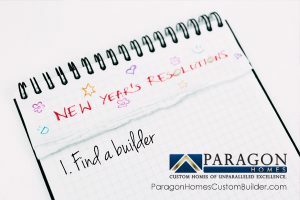 If you have resolved to make 2018 the year of your dream home, take time to communicate your needs and ask specific questions before deciding on a builder.